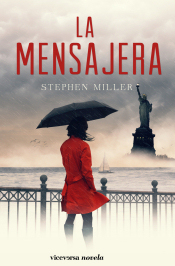 STEPHEN MILLER is a Vancouver-based author and actor who has appeared on a variety of television shows including the DaVinci’s Inquest, DaVinci’s City Hall, X-Files and Millennium. 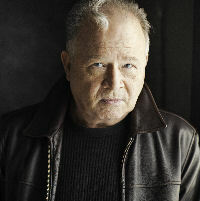 He is the author of two acclaimed historical thrillers: Field of Mars and The Last Train to Kazan. On a bright, sunny day in September 2012, not unlike another fateful September day eleven years earlier, a plot to bring down America begins to unfold. An elegantly dressed young woman boards a plane in Berlin for New York to bring certain death to the unsuspecting inhabitants of the New World. The Messenger is the story of her travels across the USA, and the rogue American scientist who is determined to stop her. “Daria” is a refugee from one of the many overcrowded, poverty-stricken refugee camps that dot the Middle East. She has been groomed for years by her terrorist handlers. She is a lustrous diamond, polished, educated at the finest schools and Westernized to wipe out any trace of her Middle Eastern heritage. She passes herself off as a cultured, dark-skinned Italian woman from an aristocratic Florentine family, all the while harboring a seething hatred of the West and everything it represents. The wars that claimed the lives of her brothers and her father feed her need for revenge—and revenge she will have. America will lie in waste at her feet. Daria’s only instruction from her handler is to interact with as many people as she canand—have fun; Western-style fun. She starts at the Trump Tower Hotel and blends in like any other expense-account executive. Posing as a reporter for the fictional Klic! magazine, Daria mingles all over the city, then moves on across the country, infecting everyone she meets. But soon she has a scientist on her trail who thinks he can put a stop to her lethal journey. He has long predicted that something like this would happen, and has been consistently ignored. Now is his chance to be vindicated. 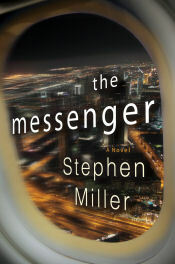 The Messenger is an explosive and timely thriller that takes the reader into the mind of a terrorist. 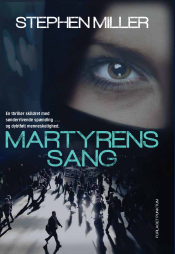 Irresistibly relevant to the times we live in, it is a heart-stopping thrill-ride to the last page.